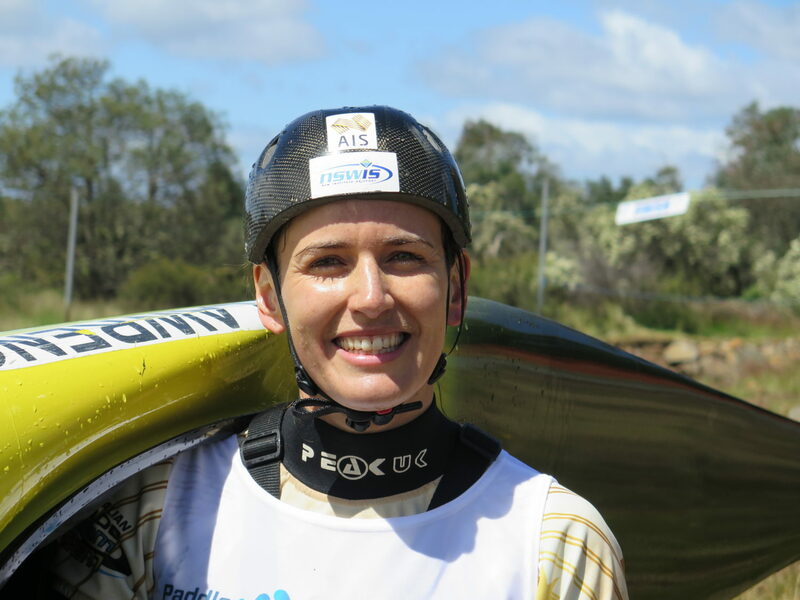 NSW Institute of Sport paddler Rosalyn Lawrence has kicked-off the Olympic qualifying season in style, impressing with a double victory and double national title at the 2019 Paddle Australia Canoe Slalom Senior National Champs in Tasmania over the weekend (10-14 January 2019). The four-day event at Brady’s Whitewater Course in Tasmania saw some fast and challenging racing on the natural whitewater course, where Lawrence took home the wins in both the kayak and canoe events. In the women’s events, 2018 national team paddler and women’s C1 World number nine Ros Lawrence successfully wrapped up the first regatta of the year with a win in the C1 on Sunday. The 29-year old put down a time of 109.09 seconds in the final run to win ahead of 2018 U23 World Championships C1 bronze medallist Noemie Fox (NSWIS) in second (112.23). 21-year old Fox also took out the U23 win. Already on Saturday, Lawrence won the women’s K1, with Fox following in third. Dual Olympian, World #1 and 2018 double World Champion Jessica Fox (NSWIS) did not contest the Senior Nationals in order to focus on training for a long international season ahead and after spending an extended period out of the boat at the end of last year following a surgery in October. Fox will start the international season on home waters at the 2019 Sydney International Whitewater Festival in February (14-24 February 2019). Noemie Fox and Ros Lawrence teamed up with former national team paddler fellow New South Wales athlete Alison Borrows to win in the K1 team event. In the men’s K1 and C1 individual events, Daniel Watkins took home both wins and defended his 2018 titles. In the final run of the regatta, Watkins managed to improve his times recorded in the heats to post a winning time in Sunday’s blistering final of the K1. Watkins (93.41) finished over a second faster than Rio 2016 Olympian Lucien Delfour (94.74 | NSWIS) with Tim Anderson (NSWIS) taking third spot in a time of 95.92. Already on Saturday, Watkins won the men’s C1, with Ian Borrows (NSWIS) claiming third. Senior National Team selection will be up next in February when Australia’s top paddlers will take on the best of the world at the 2019 Sydney International Whitewater Festival (14 – 24 February 2019) with the event at Penrith Whitewater Stadium including the selection relevant Australian Open as well as the Oceania Championships. 2019 is the Olympic qualifying season with the 2019 ICF Canoe Slalom World Championships in La Seu d’Urgell, Spain to decide the national quota places for Tokyo 2020.